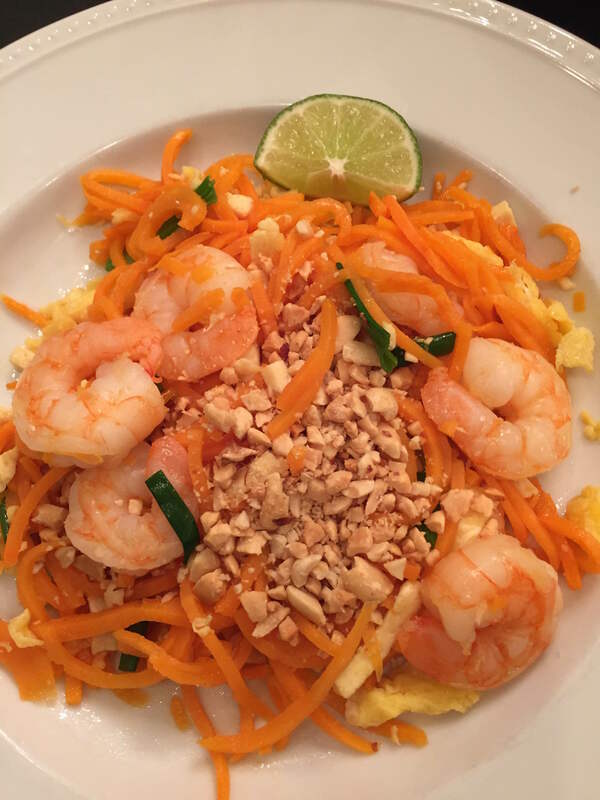 If you like Pad Thai, you usually love it obsessively, and I do. I’m just as happy eating it cold out of the takeout container the next morning as when it is fresh out of the pan. 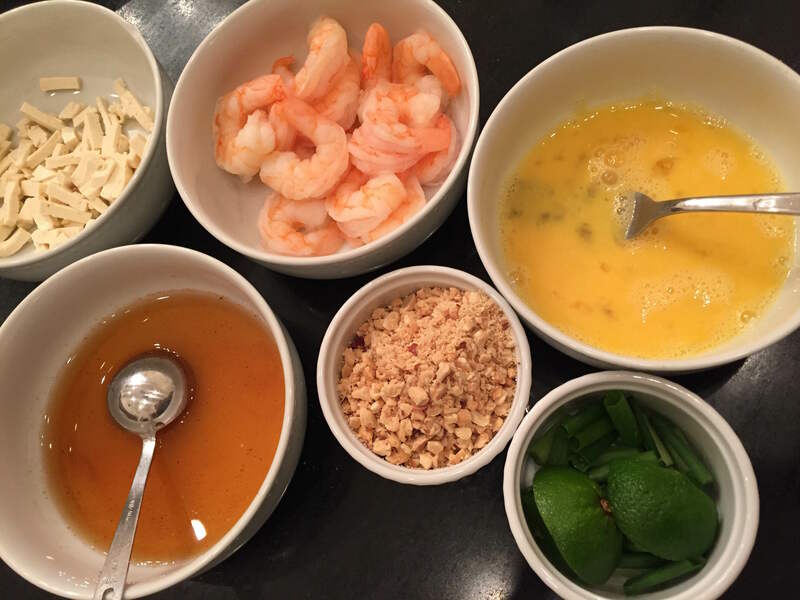 So, I was pretty excited to find a recipe claiming to recreate all the goodness of takeout Pad Thai. The downside, of course, is eating a pound of oil-and-sugar-soaked noodles. 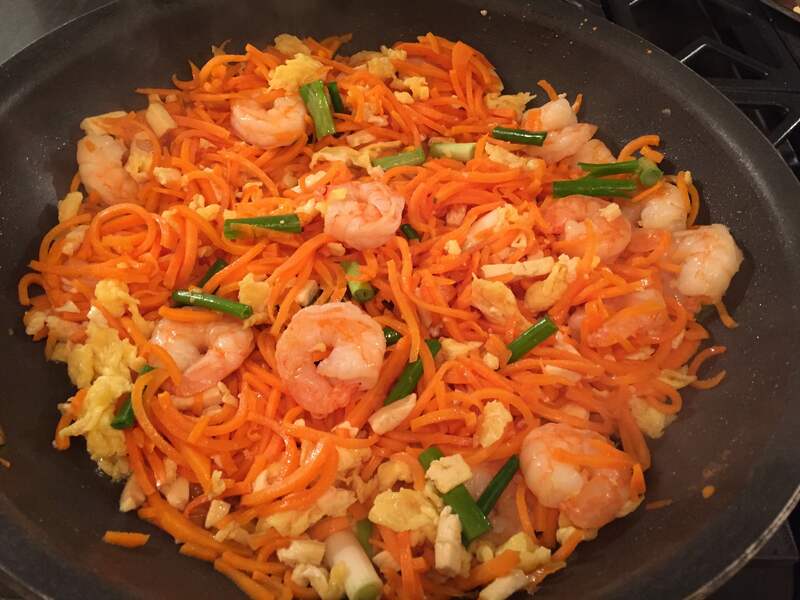 So, this “recipe mashup” involves the takeout Pad Thai taste with tweak towards the healthy side: sweet potato noodles. Bottom line up front, the Thrillist recipe is right on and sweet potato noodles did nothing to decrease the goodness. 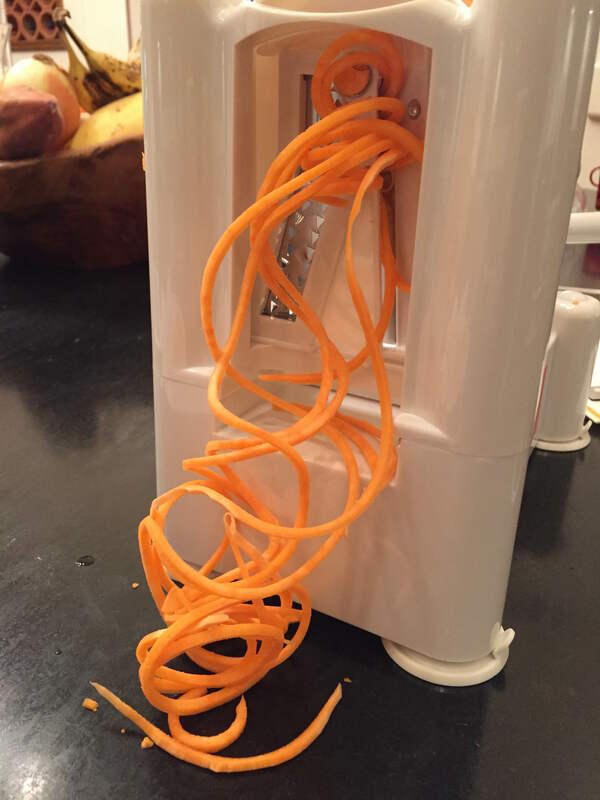 The only thing I used from the second recipe was the instructions for cooking the sweet potato noodles. They cook really quickly and can easily turn into a soggy mess, so keep a close eye on them. Another tip: after making the recipe a few times, I found that apple cider vinegar instead of white got the taste closer to the elusive takeout Pad Thai magic. Also, I double the ingredients from the first recipe because you’re going to want leftovers. The quantity in the original recipe serves one. For the sweet potato noodles, simply put them in a pan with the chicken broth and cook over medium heat for 3-5 minutes, covered. Check them frequently so they don’t get soggy. Err on the al dente side so they won’t overcook when you mix them into the hot pan with the other ingredients. Remove from heat and set aside. Heat oil in a large skillet over high heat. Pour in the eggs and cook until just set (still partly liquid). Add raw shrimp and tofu; cook until shrimp is opaque. (Note, if you’re using cooked shrimp, put in the tofu first, cook for a few minutes, and then add the shrimp with the subsequent liquid ingredients.) Stir in fish sauce, vinegar, sugar and paprika and cook for 3-5 minutes (or until liquid is nearly gone). 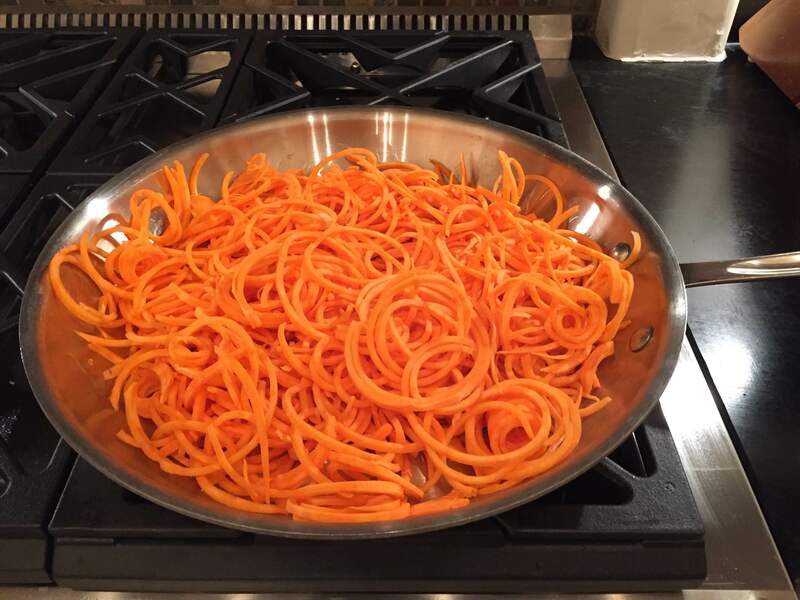 Stir in sweet potato noodles and cook until heated through. Stir in scallions and half the bean sprouts and remove from heat. Top with peanuts, remaining sprouts and lime wedges. (I omitted the sprouts in the batch in these photos). Lessons learned: This recipe comes out best if you pay close to attention to how long to cook each step. I’ve made it a few times when I didn’t have all the ingredients (tofu and scallions), and it wasn’t as good. Tried substituting onions for scallions and it wasn’t even close. A couple times didn’t cook long enough after adding the fish sauce and vinegar mixture and it stayed too pungent — it needs to cook for enough minutes to mellow out or it just won’t be pleasant. That liquid mixture needs to be almost totally cooked out. All things considered, it’s a straightforward recipe that doesn’t take too long to put together — definitely worth the effort. So go forth and Pad Thai!